One of the most exciting features of MongoDB Stitch is the ability to read and write directly to your MongoDB Atlas cluster from the browser. In other words, your static site or React app can write event data directly to MongoDB without having to go through an intermediary like Segment. This lets you retain ownership of your event data, as well as help cut costs. In this article, I'll show you how to configure a MongoDB Stitch app for tracking events from the browser. Note that this article's code is just an example and not meant for production use. This article assumes you already have a MongoDB Atlas cluster running. If you don't, here's a guide to getting started with Atlas. Go to MongoDB Atlas and open the "Clusters" view. Under "Linked Stitch App", click "Link Application" to get started creating a Stitch app. 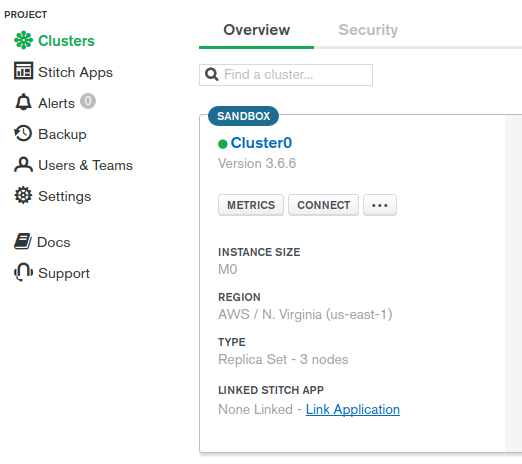 Name your Stitch app "analytics" and link it to your cluster. In this case, the cluster is named "Cluster0". Next, the Stitch UI will ask you to configure your app. 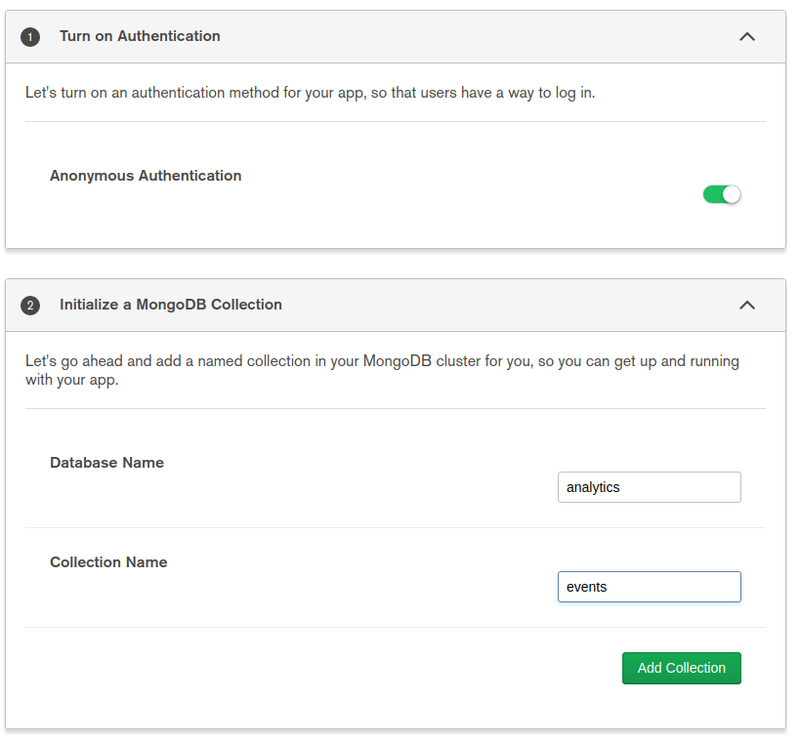 Turn on "Anonymous Authentication" and create a collection analytics.events. In order to enable writing to your analytics collection, you need to modify Stitch's default "Rules". Click on "Rules" in the left menu and edit the "Owner" permission under the analytics.events collection. Empty out the "Apply When" section to make the "Owner" permission never apply. Most events tracking tools separate out permissions for reading and writing, so anyone can write to the database but reads are admin-only. In order to disallow reads, you need to convert your rules to "Advanced Mode". Click on "Convert to Advanced Mode" and ignore the scary warning that pops up. Modify your roles to look like what you see below. Now, your Stitch client can write to the database but not read. Install the mongodb-stitch-browser-sdk npm package. MongoDB Stitch recommends building the browser SDK with webpack, so make sure to install webpack and webpack-cli. Also, install serve for serving static HTML. Next, create a trivial static site index.html. This page will load the main.js file, which will be responsible for writing to MongoDB Atlas using the Stitch SDK. Below is the content of index.js, the entry point for the compiled bundle that webpack will produce. The below file just writes the current pathname and the current time to the analytics.events collection. You also need a basic webpack config file. For the purposes of this example you don't need any tools like Babel, but you'll need those if you want your code to work with older browsers. Run ./node_modules/.bin/webpack to compile the bundle and then run ./node_modules/.bin/serve to start a web server. 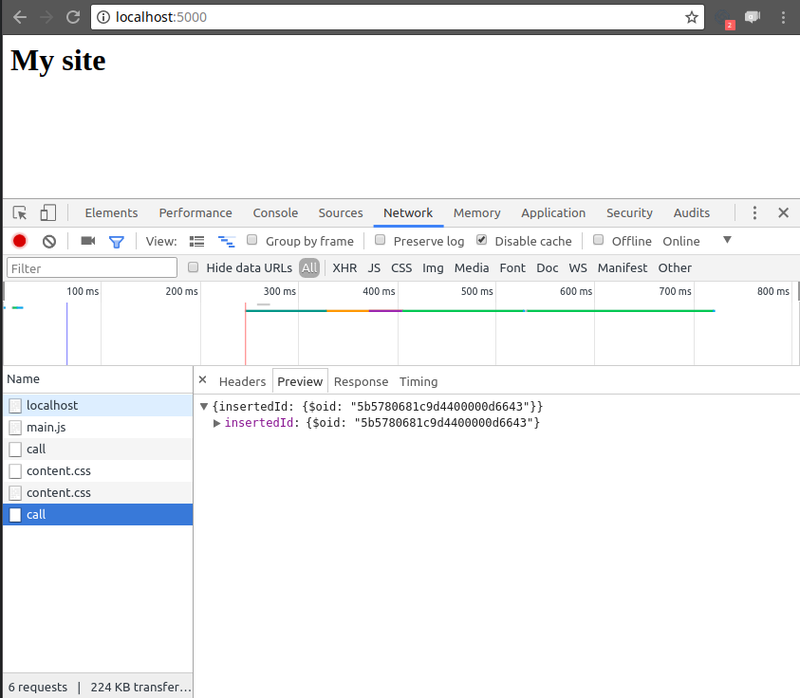 Now, if you visit http://localhost:5000/, you should see a call to stitch.mongodb.com in your Chrome Network console that contains the id of an inserted document. Congratulations, you just wrote a document into your MongoDB Atlas cluster from your browser! Now that you can write events data to MongoDB from the browser using Stitch, let's write a common analytics query using the MongoDB aggregation framework. Go back to your Atlas clusters page and click "Connect" to open up instructions for how to connect to your Atlas cluster. 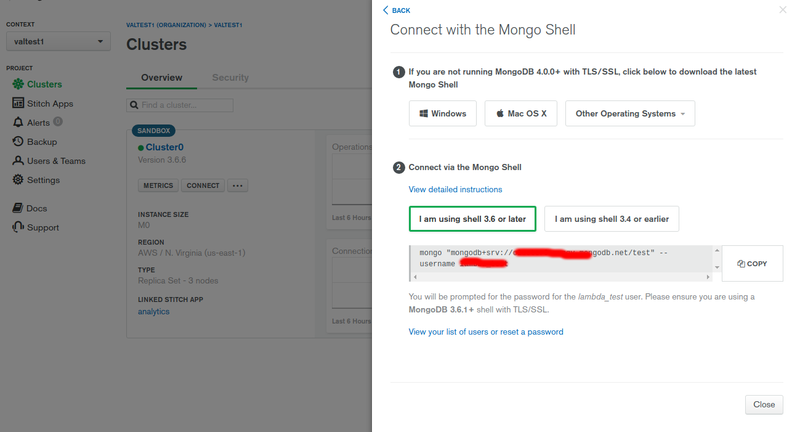 Connect to your MongoDB Atlas cluster using the MongoDB shell, switch to the 'analytics' database using use analytics; and print out a document. Running this aggregation query gets you how many events occurred on a given day. MongoDB Stitch allows you to access your MongoDB Atlas cluster directly from the browser, without needing to go through your own API. One potential use case for this is analytics: instead of going through Mixpanel or Google Analytics UI, you can store your data in MongoDB and use the MongoDB aggregation framework or MongoDB Charts to analyze it. 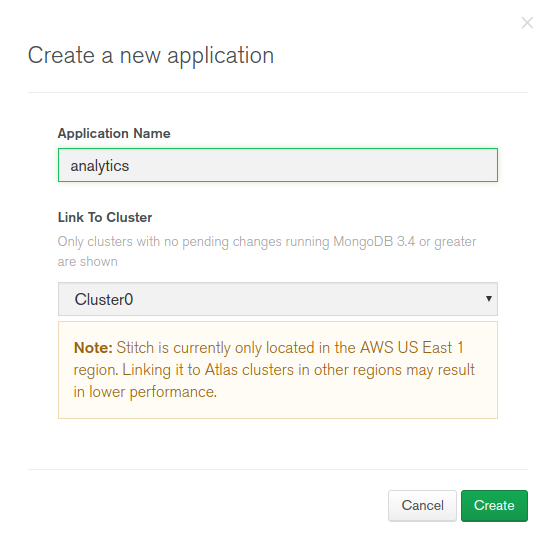 While it may be a little early to close your Mixpanel account, MongoDB Stitch is worth looking into if you're already a MongoDB power user.